On this day in history, April 3, 1776, Congress authorizes privateering vessels to capture British ships during the American Revolution. Because of the heavy dependence on shipping in the 18th century, it was immediately necessary for Congress to create its own navy after the Revolution began. 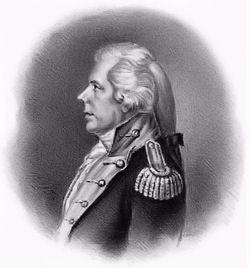 Congress created the Continental Navy in the fall of 1775. Several states created their own navies as well, but these small navies were no match for the gigantic British Royal Navy which had the largest naval force in the world. To help in the fight against the British Navy, Congress and several states authorized privately owned merchant vessels to combat and capture British owned naval or merchant vessels. This practice was called "privateering" because the vessels were privately owned. Privateering was essentially the same as piracy, but privateers were not considered pirates by the authorizing nation. Privateering vessels would be outfitted with guns and cannons by their owners and could capture vessels flying an enemy flag. ships aboard the privateer Fair American. Privateers were issued a "Letter of Marque and Reprisal" which authorized them to engage in privateering. After an enemy vessel was captured, the vessel was brought to an American port and presented to a judge who would look over the Letter and see that the capture had been handled according to the law. If all was well, the spoils captured on the ship were sold and the proceeds split between the ship's owners and crew, with a small percentage going to the American government as well. 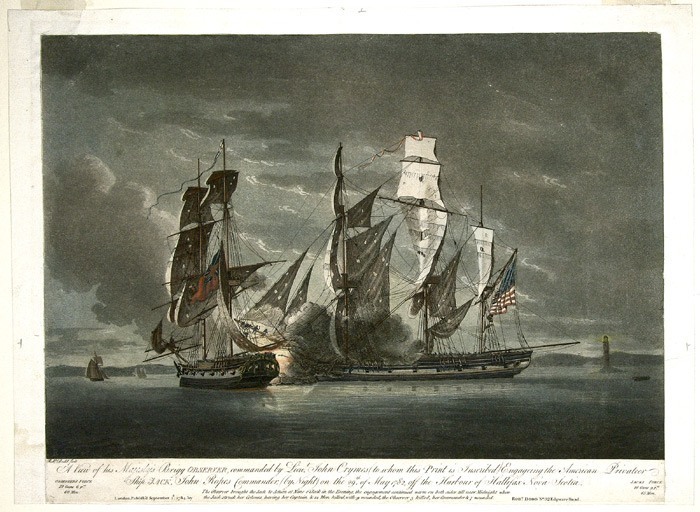 The splitting of the spoils in such a capture made privateering quite lucrative, so lucrative in fact that sailors were much more likely to want to serve on a privateer than on a ship run by the Continental Navy. The contribution of privateers during the American Revolution cannot be overestimated. While the Continental Navy had about 60 ships with 3,000 soldiers during the course of the war, there were two to three thousand privateers with more than 70,000 sailors aboard! Continental Navy vessels carried around 2,800 guns on board, while privateers carried more than 20,000 guns! With this massive firepower, privateers captured over 3,000 British vessels during the war, while the Continental Navy captured around 200. In addition to the captured vessels and their cargoes, privateers captured more than 10,000 British sailors. Primary locations for privateering included Long Island Sound, the Gulf of St. Lawrence, the coasts of Newfoundland and Nova Scotia, the Caribbean and even British waters off the coasts of England and Ireland. How lucrative was privateering? Some estimates put the spoils of American privateers during the Revolution at around $300 million dollars. Clearly, many fortunes were made from the practice. Britain estimated that 10% of all the cargoes it shipped to America were captured by the privateers, earning the privateers the honor of being one of the most influential forces giving America it's victory in the Revolutionary War.